Link to From Global Goals to Local Impact: How Philanthropy Can Help Achieve the U.N. 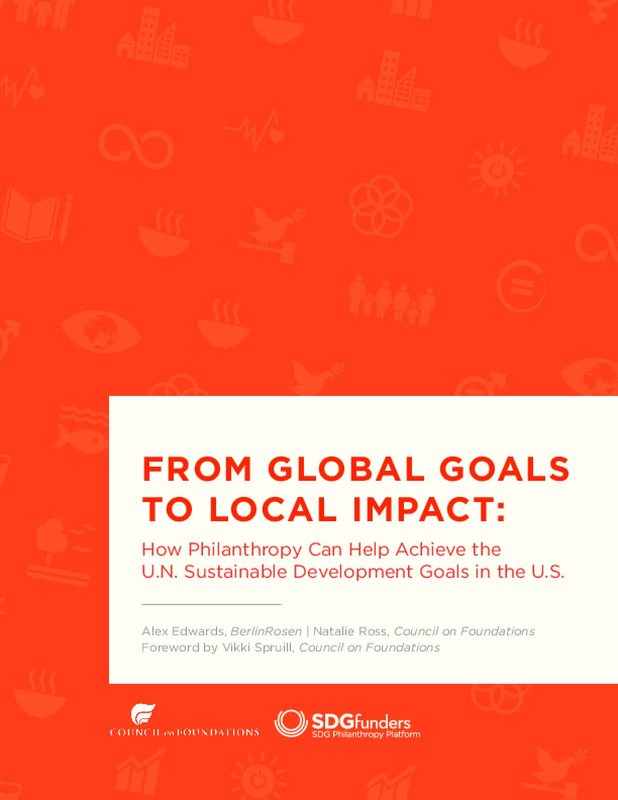 Sustainable Development Goals in the U.S.
Funder Approach From Global Goals to Local Impact: How Philanthropy Can Help Achieve the U.N. Sustainable Development Goals in the U.S.